Pictures used are for illustrative purposes only and may vary in design, specification and/or tread pattern. Confirm at time of purchase if you are unsure. Tufftrac Construction Rubber Tracks are designed for the serious contractor who is looking for the longest lasting and best performing after-market track. Tufftrac Construction Rubber Tracks are the choice of the most discerning operators who are looking at the big picture and know that quality is remembered long after the price is forgotten. Stronger – high tensile steel core with forged drive links, we take no short-cuts with quality. Longer Lasting – optimal blend of virgin natural and synthetic rubbers for maximum wear resistance. Guaranteed Fit – if we supply the incorrect track for themodel supplied, we will fix it fast….and credit you your freight. 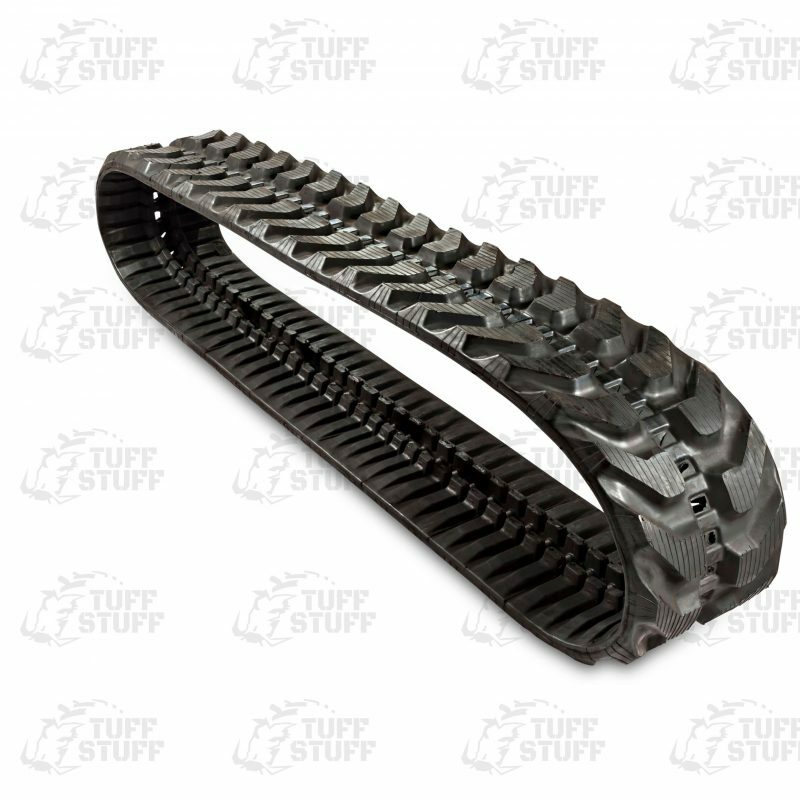 Order your Tufftrac rubber track now and the tough parts done!! Sign up for updates & exclusive offers!